In our daily lives, there are many tools and technologies that aid us. We have lightbulbs to see in the dark, computers to connect with the world, and stoves to cook our food; however, nothing serves as significant and hard to live without purpose for us as transportation does. The automobile, invented in 1885, changed the world forever by revolutionizing the transportation industry. Being able to not hav to rely on public transportation like the Subway was revolutionary. Years later, Henry Ford would use the transportation industry, and automobiles specifically, to revolutionize the entire industrial world. Ford was an American industrialist born in July of 1863 in Greenfield Township, Michigan; his idea for the automobile changed the world. His example has proven, time and time again, that one person’s creative vision and thoughtful thinking can indeed change the world. A great idea, combined with the right dosage of never-ending entrepreneurial drive and the desire to succeed no matter the sacrifices necessary, will always prevail. Though Ford’s journey took some time to end where he ultimately did, he never gave up throughout the process, and as a result, has achieve such unparalleled success. Being an entrepreneur is about beliving in your product, and always satnding behind it, even when it’s not convenient or people aren’t quite yet living up to buy it. It’s about harnessing the integrity needed to make people realize what an truly valuable offering you can provide. Henry’s father was originally from England and his mother from Belgium. He had four siblings, two sisters and two brothers, and gained a reputation as a watch repairman at the young age of 15. Henry’s father William Ford was a farmer, and when Henry’s mother died, William expected his son to take over the family farm. Henry despised farm work, however, and refused to take over the business. Three years later, he left home for Detroit to work as an apprentice machinist for James F. Flower & Bros. and later with the Detroit Dry Dock Co. Another three years later, and Ford was back at home, using his new machinist knowledge to improve the efficiency of the family farm. After being home for some years, Ford married Clara Ala Bryant, with whom he had one child, Edsel Ford. Ford’s official career began when he was hired as an engineer for Edison Illuminating Company in 1891. After two short years, he was promoted to Chief Engineer, and finally had the time and money to commit to his own pursuits. He conducted personal experiments on gasoline engines, which culminated with the completed self-propelled Ford Quadricycle in 1896. He tested and improved the vehicle multiple times, and a meeting with Thomas Edison himself convinced him to design and build a second vehicle, finished in 1898. At this point, he resigned from Edison Illuminating Company and founded the Detroit Automobile Company in 1899. The company was backed by William H. Murphy, a Detroit lumber baron, but unfortunately was unable to succeed. The vehicles produced were too low quality and too high priced for Ford’s liking, and the company dissolved in 1901. Months later, Ford came back onto the scene in a big way. He designed, built, and raced a car with C. Harold Willis’s help. 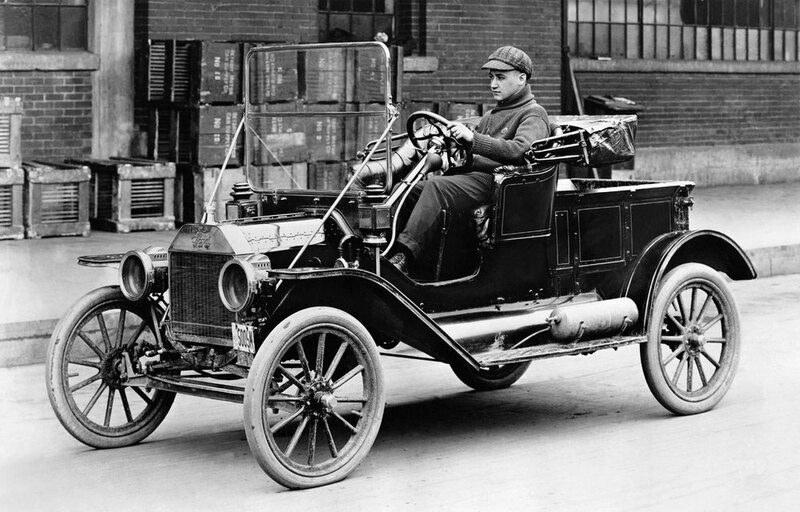 This vehicle boasted more than 26 horsepower and led to the creation of the Henry Ford Motor Company. Ford, the chief engineer, decided to leave the company bearing his name when stockholder Murphy brought on Henry M. Leland as a consultant. As a result, the company was renamed the Cadillac Automobile Company. Following his departure, Ford teamed up with former racing cyclist Tom Cooper to produce the “999,” a racer with over 80 horsepower. Barney Oldfield would drive this to victory in October 1902. Later on, with the backing from an old acquaintance, Alexander Y. Malcomson, Ford was able to form the partnership, Ford & Malcomson, Ltd. Ford’s goal was to produce an attainable, inexpensive automobile. While he did succeed, sales started off too slow, and it was necessary to bring in new investors. The Dodge brothers, John and Horace, accepted a portion of the company, and it was reincorporated as the Ford Motor Company we know today. The famous Model T was introduced to the public on October 1, 1908, and marked the new beginning of an extremely successful career for Ford and his investors. His model was copied by every other automobile company soon after, becoming a blueprint for the entire automotive industry. A great businessman, For was able to use the initial popularity to his advantage in propelling the Model T, and Ford Motor Company, to the top of the industry. He turned Detroit into his own publicity machine, and made it an automotive capital. In 1913, Ford introduced the assembly line into his factories in an effort to make production more efficient and his cars more affordable. Sales skyrocketed, everyone wanted to learn how to drive and everyone wanted a car of their own, a dream made achievable by Ford’s ingenuity. This type of move was characteristic of Ford’s overall business strategy, as he was an engineer before a businessman. Ford began his greatest business plan in 1918 when he turned the presidency of the Ford Motor Company to his son, Edsel Ford. He created a new company, Henry Ford and Sons, and made a big show of taking himself and his best employees to the new company. Investors in Ford Motor Company were quick to sell their stock to Ford, and Ford Motor Company quickly became a company owned solely by the Ford family. December of 1927 brought the Model A, and annual model updates then became a feature of Ford’s company. Contrary to popular belief, Ford did not invent the automobile, or even the assembly line. But he put the two together, and changed the industrial world forever. He truly was an inventive, determined entrepreneur with an eye for business. In addition, he had extensive knowledge of the mechanics of what his company built, which helped him in the business world. 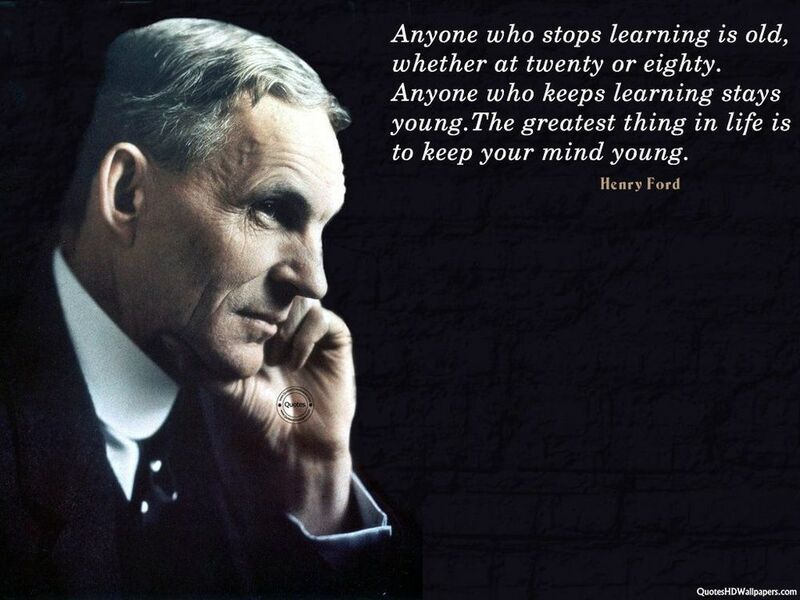 Full comprehension of what exactly his company did, no matter what it was named, helped lead Ford to success. His work also had a massive impact on the world, economically and politically. His work spanned throughout the Great Depression and the First World War, helping the United States through each crisis that came their way. Whether your vision inspires you to change the world and have an impact on all humans, or if your aspirations do not have as far reaching of an impact, the skills needed to achieve entrepreneurial success will always be the same: drive, determination, commitment and passion!